This thoughtful examination of a century of travel writing about the American West overturns a variety of popular and academic stereotypes. Looking at both European and American travelers’ accounts of the West, from de Tocqueville’s Democracy in America to William Least Heat-Moon’s Blue Highways, David Wrobel offers a counter narrative to the nation’s romantic entanglement with its western past and suggests the importance of some long-overlooked authors, lively and perceptive witnesses to our history who deserve new attention. Prior to the professionalization of academic disciplines, the reading public gained much of its knowledge about the world from travel writing. Travel writers found a wide and respectful audience for their reports on history, geography, and the natural world, in addition to reporting on aboriginal cultures before the advent of anthropology as a discipline. 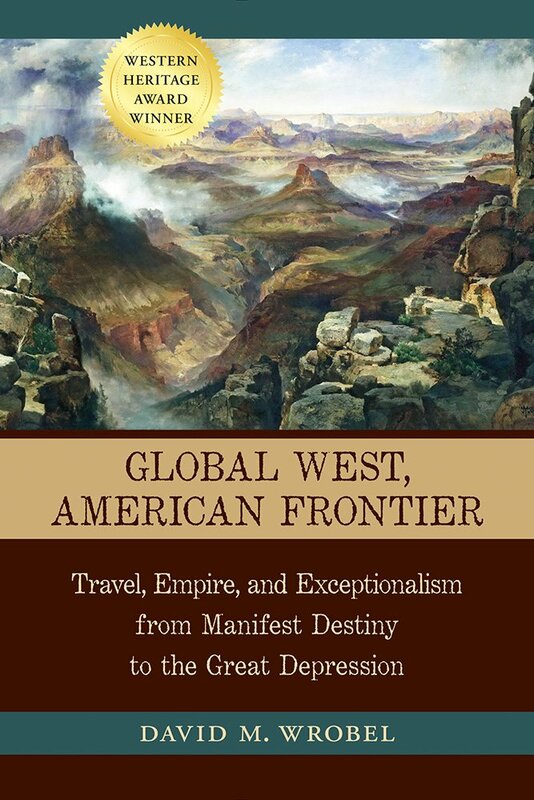 Although in recent decades western historians have paid little attention to travel writing, Wrobel demonstrates that this genre in fact offers an important and rich understanding of the American West—one that extends and complicates a simple reading of the West that promotes the notions of Manifest Destiny or American exceptionalism. Wrobel finds counterpoints to the mythic West of the nineteenth century in such varied accounts as George Catlin’s Adventures of the Ojibbeway and Ioway Indians in England, France, and Belgium (1852), Richard Francis Burton’s The City of the Saints (1861), and Mark Twain’s Following the Equator (1897), reminders of the messy and contradictory world that people navigated in the past much as they do in the present. His book is a testament to the instructive ways in which the best travel writers have represented the West. David M. Wrobel holds the Merrick Chair in Western History at the University of Oklahoma. He is also the author of The End of American Exceptionalism: Frontier Anxiety from the Old West to the New Deal and Promised Lands: Promotion, Memory, and the Creation of the American West.